October 2017 marks the 500th anniversary of the Protestant Reformation. This anniversary prompts the church to remember anew what God accomplished 500 years ago and to reflect on what it means for us as 21st-century believers. To this end, we are reflecting on sola Scriptura during the month of October here at jasonkallen.com. Last week, in part one, we introduced the five solas and set the table for sola Scriptura. Of the five solas, one can argue that sola Scriptura is most foundational of them all. In fact, that is why sola Fide is known as the material principle of the Reformation and sola Scriptura is known as the formal one. By this, we mean faith alone is the central truth of the Protestant Reformation, thus the central component of our biblical teaching and the center of the gospel itself. Scripture alone, as the formal principle, means the Bible is the singular, authoritative source from which our theology—including sola Fide—is developed. 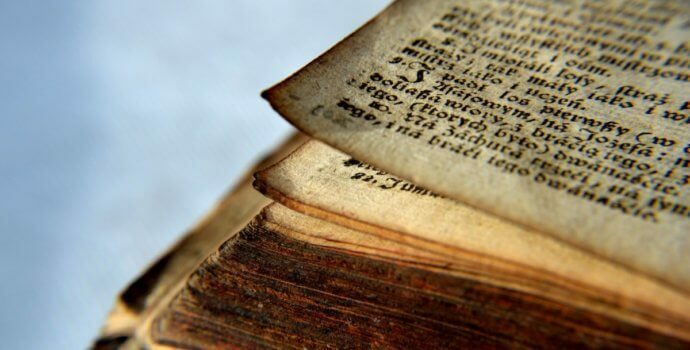 As the formal principle, sola Scriptura is the doctrinal foundation upon which we erect the entirety of Christian belief, including our understanding of the gospel itself. Thus, as the formal principle, getting sola Scriptura right enables us to get the other solas right—as well the rest of our Christian lives and doctrine. For the Reformers specifically, Scripture alone meant the Bible held authority over tradition, popes, and councils. Their point was not that tradition, popes, or councils could not instruct the church. Their point was that they were subordinate to and thus subject to, the Word of God. The Word of God regulates them; they don’t regulate the Word of God. In our day, as evangelicals, we also say Scripture alone over popes, councils, and traditions. Yet, we should add to that list experience, preference, or pragmatic expediencies. For Luther—and for us—Scripture is the norma normans; the determining norm by which everything else is measured. It is the standard, the benchmark, the plumb line for the church. It is from the Scriptures we heard the gospel, learned of Christ, and were born again. More personally, God also used his Word to call me into Christian ministry. He gripped my heart with Romans 10 and the Pastoral Epistles. What is more, my denominational commitment was also determined by Scripture alone. Even though I was raised a Baptist, my Baptist convictions were confirmed after studying the Scriptures. The effect of sola Scriptura extends to all aspects of our lives; it is our authority for all we do. The doctrine of sola Scriptura appears throughout the Bible, but it is most clearly presented in II Timothy 3:15-17. Paul, in his final letter to his son in the faith, Timothy, charged him to stand strong in the faith and to be faithful in his ministry. He exhorted him to stand firm and to preach the Word. Timothy, we know, is vacillating; he is discouraged; he is weakened. Many have abandoned him in the faith. Paul reminded Timothy that he was taught Scriptural truth from his mother and grandmother at an early age. He is reminding Timothy that as he was taught the Old Testament, a new way of life came to him through them. Here Paul is saying the Old Testament makes the gospel clear. It makes faith in the coming Messiah clear. The first part of the verse, “all Scripture is inspired” is of extreme significance. “Inspired,” the Greek word theopneustos, means “having been breathed out from God’s innermost being.” Also notice that Paul says, “all Scripture.” It is not up to us or to the critic to pick and choose which portions of Scripture we think to be true. Nor is it left to us to pick and choose which portions of Scripture we think are most applicable or most worthy of our obedience. What the apostle presents is the doctrine known as Verbal Plenary Inspiration. All of Scripture, not some of it, is inspired. The words themselves are inspired, not just the thoughts of the authors or the intent of the authors, but every word. All Scripture is inspired by God. Additionally, this verse is to be interpreted with an anticipatory sense, meaning Paul is also foreshadowing the rest of coming revelation and the closure of the canon. Often we hear this verse read, and it will be as if there is a period placed after the word “God”– “All Scripture is inspired by God.” But notice Paul takes it further than that. “All Scripture is inspired by God and is profitable for teaching and for reproof.” The Scriptures teach us many things, but specifically, what to believe. They convict and reprove us by correcting our errant belief. This correction then trains us in righteousness. In other words, it has a direct effect on how we live. So, we do not have to search to and fro looking for a mystical experience or some kind of charismatic experience, or some extraordinary infusion of gifts to make us complete and worthy to minister. Verse 17 teaches us that by the Spirit of God and with the Word of God, we have been made ready to minister. In short, sola Scriptura. The logic here is clear as well. It is a logic to which and from which Luther drew. If this Word is true, if it is of God, it must of necessity be true. And if it is of God and true, it must be authoritative. Thus, we are called to submit our lives to it. Scripture alone is to be our source of authority. Having established Scripture alone biblically, next week we’ll look at three pivotal scenes from Luther’s life wherein he discovered, affirmed, and stood on Scripture alone.